Added Thai Translation 01/05/11. Thanks to Ginchan_Salin. The Thai version has no submenus, so Thai users should download in Comments even if they only have BG. Danish translations added. Credits go to LiennaSeren and Caecilie814. I also attached a new file to this post: Very few (I know of two) people cannot open the sub menus I have used for most of these foods. If you encounter problems with the sub menus, please download the file "cfd_fixedsubmenufiles.rar". It contains all of the canapés, sandwiches and the soups. I´ve always been hating the fact that there are hardly any food dishes for Sims with few cooking points, so I decided to change this a while ago. And now I proudly present "Cooking for Dummies", a series of 30 food dishes. Most of these dishes don´t require a single cooking point and none of them requires more than four. These foods have been translated to the following languages: English, German, French, Portoguese, Simplyfied Chinese, Traditional Chinese, Dutch, Danish , Spanish, Korean. akiretremo, Marshall1994, LiennaSeren and Caecilie814. 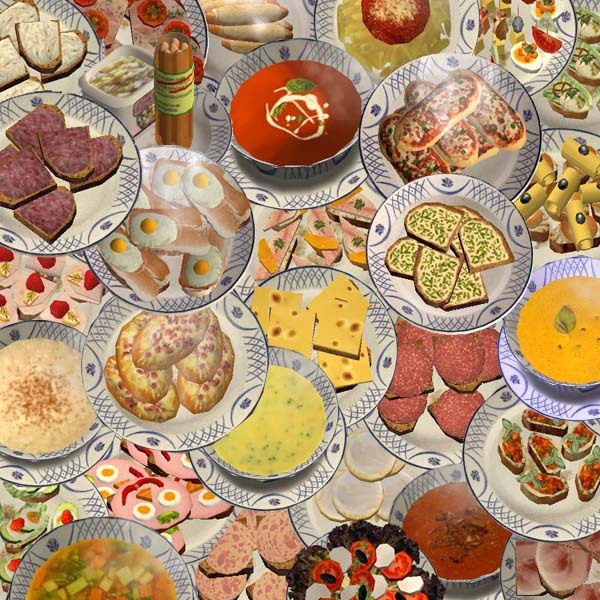 These foods will NOT produce the bug that they´re shown as the dish they were cloned from in the Pie Menu. FOOD DISH DOWNLOADS ARE IN COMMENTS. 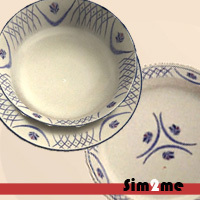 Let´s start with the default dinnerware shown on all of the pictures - which is NOT needed for any of these food dishes to work*. Anyway, if someone still wants to have it, here it is. 5731 people have said thanks to bienchen83 for this download. Thai Translation 01/06/11: MTS2 Birthday Food Pack! ~Requested~ Shrimp & Calamari for dinner!